Last edited by AndreaN on Wed Feb 13, 2019 12:23 pm, edited 1 time in total. Can I connect my Nanopi M4 and with the Friendlyelec 2.8 inch resistive touch screen LCD 240x320 ? You should turn to the alternative operating system "Armbian", there it seems to solve the problem of including SPI. And of course, taking the opportunity to ask the manufacturer a question - friends !!! Make a normal assembly of the system, rewrite the "npi-config" under the chip RK-3399. After all, you have already done a lot! 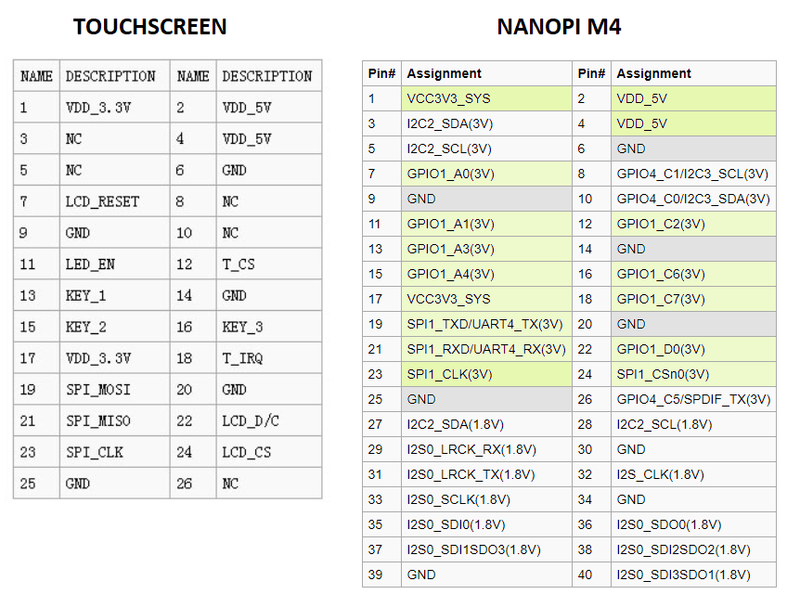 The motherboard manufacturer doesn’t very quickly optimize the operating systems of his build, but they do it and they’ll have to do it anyway, since the boards are not badly sold and new modules for it are released (for example, this one http://wiki.friendlyarm.com/wiki/index.php/NanoPi_M4_SATA_HAT), so we are waiting for patience. On Android, it will not work with a probability of 99%. The 13.2MP MIPI camera works on Lunux while it's crooked, but it works. I know Armbian but I want to use Android FileZilla https://downloader.vip/malwarebytes/ https://downloader.vip/rufus/](since I want to use the 13.2MP MIPI Camera Module which seems to work only on Android), what about support on Android?